Mac ‘n’ Cheese is every kid’s favorite dinner, but it can become every adult’s favorite, too, when you make it the “gourmet” way. This is not some macaroni and cheese out of a box; this is a rich, bubbly, cheesy-beyond-belief macaroni and cheese that is sure to satisfy the simplest and most sophisticated palettes! Try it with fish and broccoli (as I did), chicken, steak, pork chops, or just a salad and you’ve got a great, easy dinner! 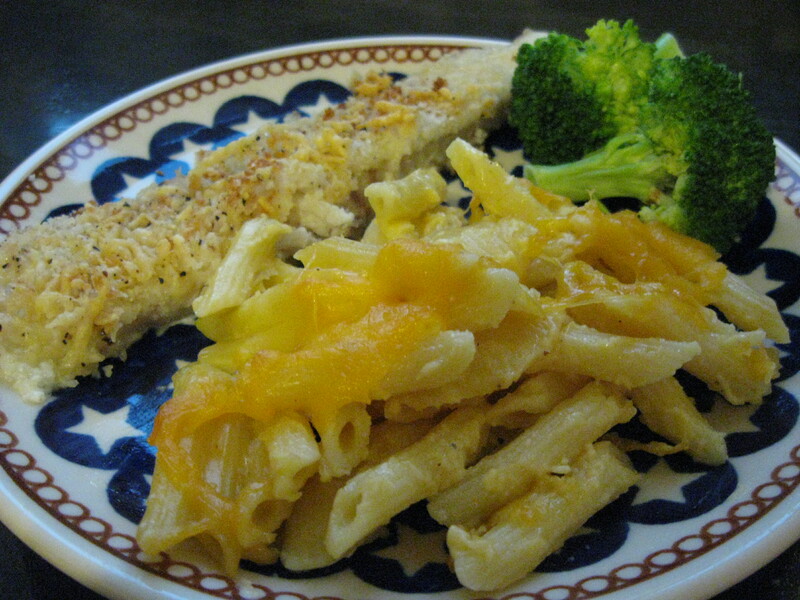 You could also add different ingredients into the macaroni such as bacon, tuna fish, peas, or even mushrooms. You could also try experimenting with different cheeses. I like the classic cheddar, but this macaroni and cheese could be whatever you want it to be! 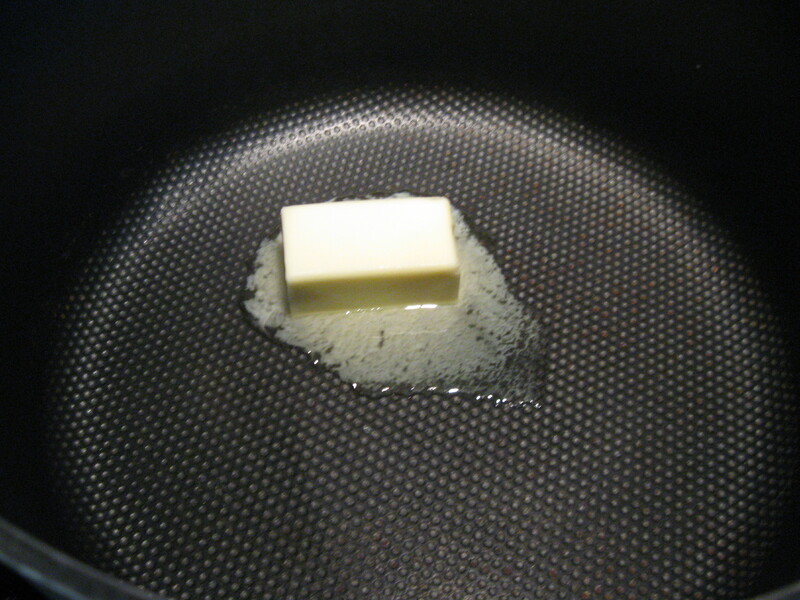 Start by melting the butter in a large saucepan. Then, pour in the milk. I actually just eyeball this step and estimate the right sauce-to-pasta ratio. 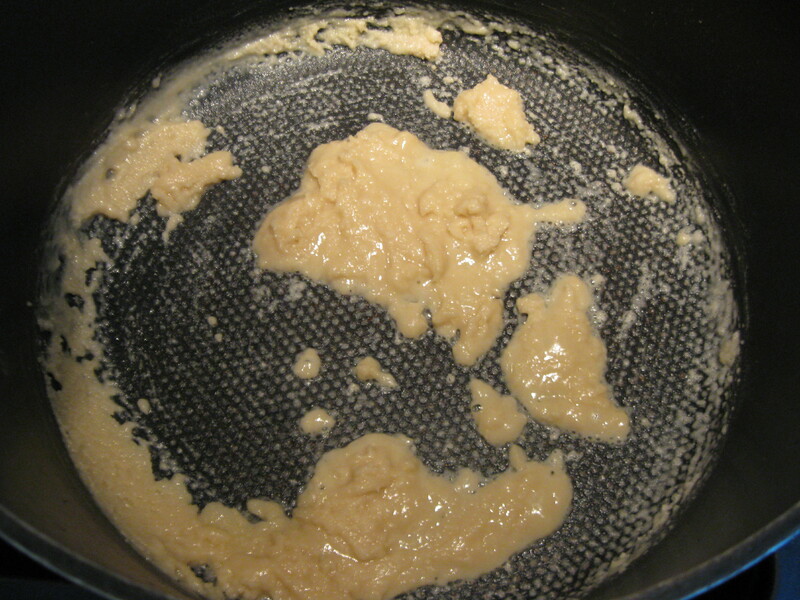 Start whisking the mixture immediately and don’t stop until it’s thick and coats the back of a spoon. 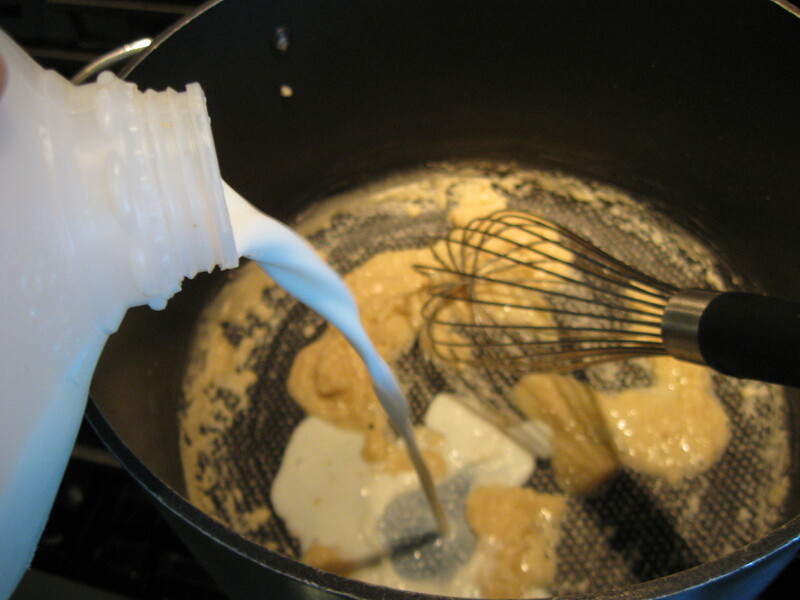 This mixture is called a “bechamel sauce,” and is used in alot of French and Italian cooking. After the bechamel sauce comes together, add in the cheese to make it a “mornay sauce.” Don’t you feel so fancy using all these technical terms? 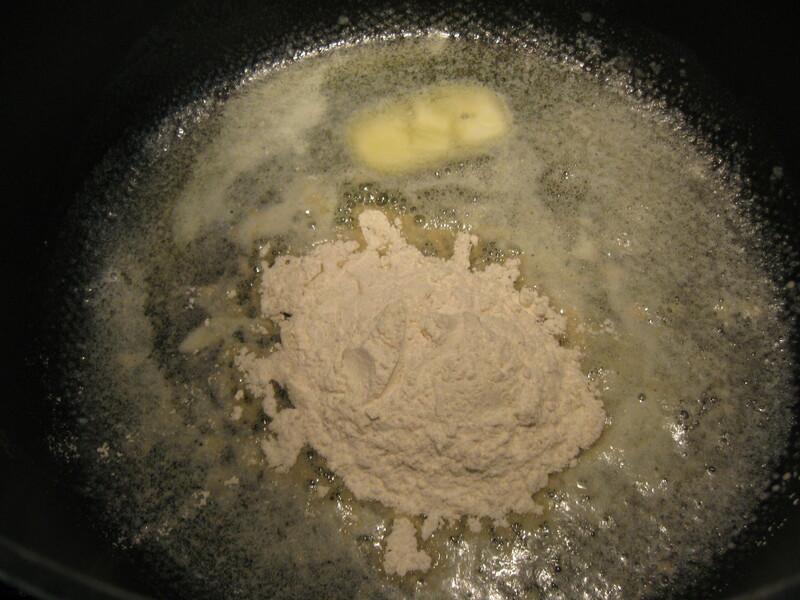 Once the cheese is melted, add in the cooked pasta and toss it to coat. If you feel like you have too much sauce or pasta, then just remove a little bit before you combine them. You can always add stuff, but you can’t take it away! Pour it in a greased baking dish and bake it at 350 degrees until it’s brown and bubbly! Enjoy! 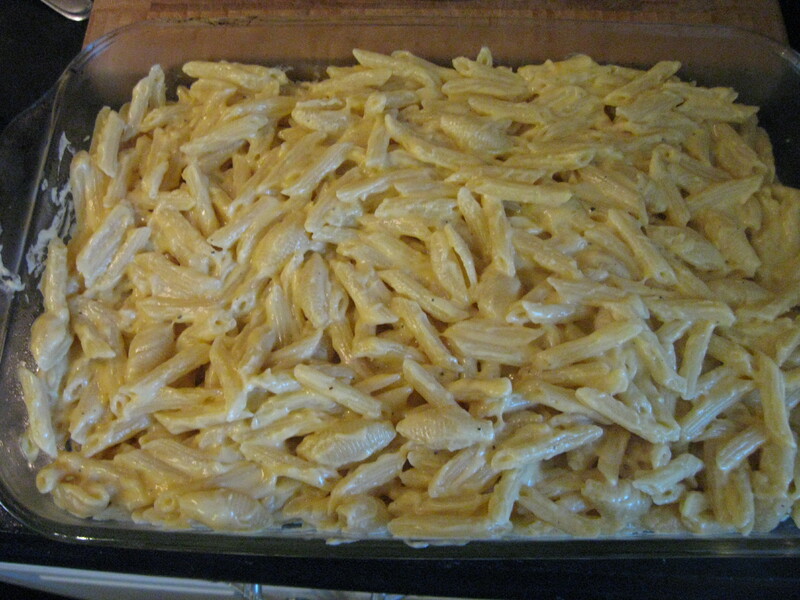 "Macaroni and Cheese" was written October 15th, 2011	by Cooking with Katie, and filed under Super Side Dishes and tagged Cheesy, Pasta.